House price growth is soaring in the Midlands, while the market in London continues to decline, according to official data. The latest figures from the Office for National Statistics show that in the year to the end November the average property price in the West Midlands went up by 7.2 per cent, followed by the East Midlands at 6.4 per cent. The lowest annual growth was in London where prices rose by 2.3 per cent. Overall, average house prices across the whole of the UK rose by 5.1 per cent in the year, following a rise of 5.4 per cent in the year to October. Alex Gosling, founder of online estate agents HouseSimple.com, said unsustainable price rises have finally caught up with the London market. "The capital is now feeling what many areas of the country have felt for a decade, which is stagnant property growth,” he said. "And we have seen the impact of unaffordable property prices as more and more people give up on the hope of ever getting on the property ladder in London, and make the decision to relocate. 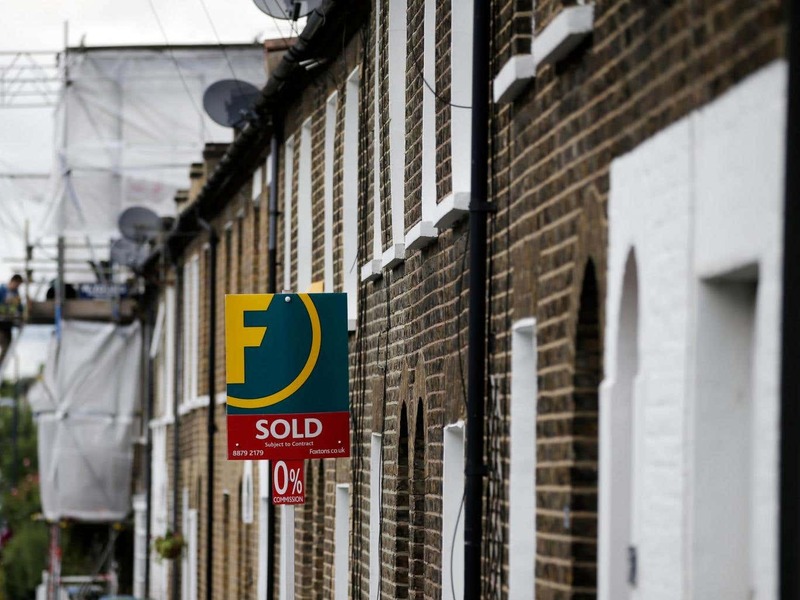 The average UK house price was £226,000 in November, £11,000 higher than a year earlier. In England house prices increased by 5.3 per cent over the year to November, compared to 4.5 per cent in Wales, 3.6 per cent in Scotland and 6 per cent in Northern Ireland. “These figures confirm what we are seeing on the ground - prices and transactions may be fairly flat but there are no signs of significant corrections in the housing market,” said Jeremy Leaf, north London estate agent and a former residential chairman of the Royal Institution of Chartered Surveyors. “While it is still early days, so far this year we have already seen considerable pent-up demand for properties - not necessarily resulting in offers but certainly plenty of interest from buyers who have their finance lined up and are keen to find more realistically-priced properties,” he added. Separate figures published by trade body UK Finance on Tuesday showed that demand for mortgages remained buoyant in November despite the hike in the base rate. According UK Finance, 36,200 new mortgages were taken out in November, some 16.8 per cent more than in the same month a year earlier.